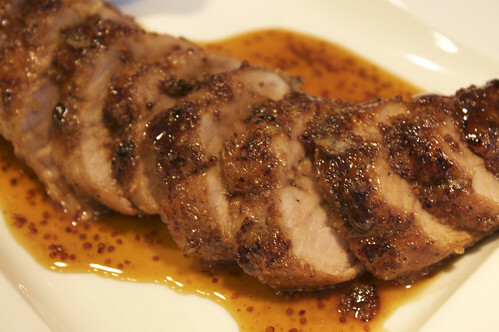 This is certainly one of the best pork tenderloin recipes we’ve ever made. The tenderloins were perfectly cooked and were really juicy. The best parts of course were the pieces encrusted with the maple glazing. Yum! I would have to say, in particular with this recipe, that a thermometer should be used in order to achieve perfect doneness and avoid drying out the meat. We always use our Thermapen since it gives a quick and accurate temperature. Adjust oven rack to middle position and heat oven to 375 degrees. 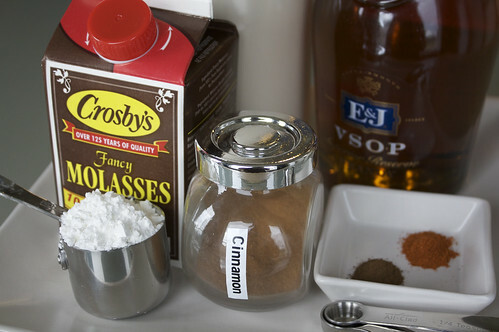 Stir ½ cup maple syrup, molasses, bourbon, cinnamon, cloves, and cayenne together in 2-cup liquid measure; set aside. Whisk cornstarch, sugar, salt, and black pepper in small bowl until combined. Transfer cornstarch mixture to rimmed baking sheet. Pat tenderloins dry with paper towels, then roll in cornstarch mixture until evenly coated on all sides. Thoroughly pat off excess cornstarch mixture. The recipe did say it serves six people but it was so good it was barely enough for four. Enjoy! 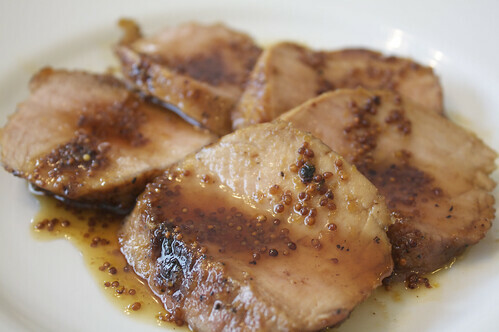 This recipe will work with either natural pork or enhanced pork (injected with a salty solution). 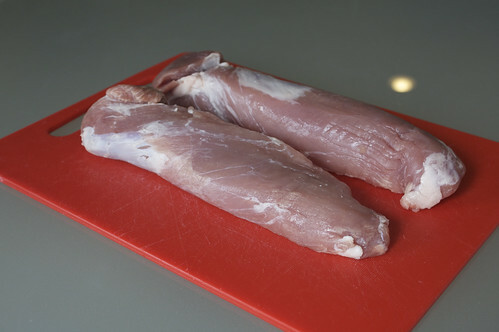 If your tenderloins are smaller than 1¼ pounds, reduce the cooking time in step 3 (and use an instant-read thermometer for best results). If the tenderloins don’t fit in the skillet initially, let their ends curve toward each other; the meat will eventually shrink as it cooks. 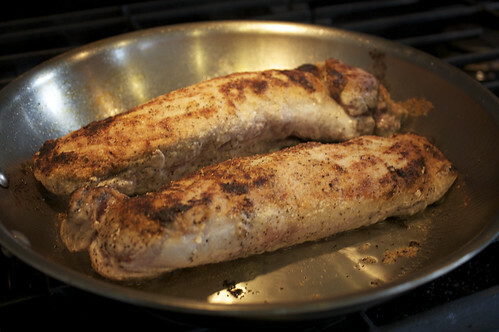 Make sure to cook the tenderloins until they turn deep golden brown in step 2 or they will appear pale after glazing. We prefer grade B maple syrup in this recipe. (Don’t be tempted to substitute imitation maple syrup—it will be too sweet.) 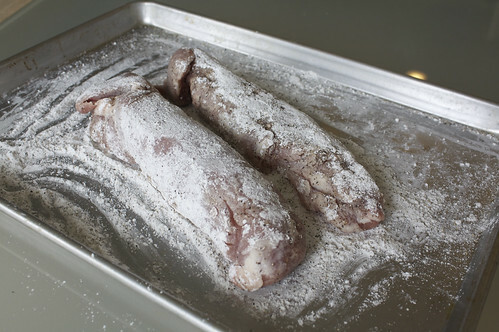 Be sure to pat off the cornstarch mixture thoroughly in step 1, as any excess will leave gummy spots on the tenderloins. 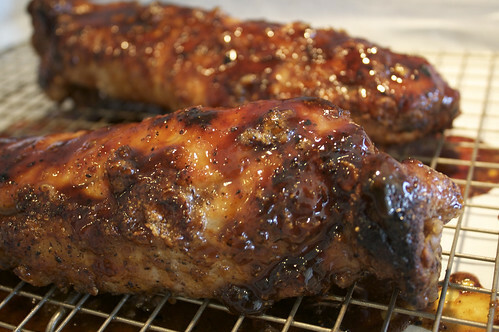 This entry was posted in Food & Drink and tagged maple syrup, maple-glazed, pork, pork tenderloin. Bookmark the permalink. Post a comment or leave a trackback: Trackback URL. Looks goooooooooood! It’s 12 midnight here and I’m looking at food pics, eeek. LOL! Thanks Mark! I also get those midnight cravings so I can’t look at food at that time. I just drink water and go back to bed. Looks delicious,Ernie! I need to buy a heavy skillet like yours. The skillet I have is too light and I can’t sear meat properly with it. Thanks Judy! You just have to find a stainless steel skillet that has a heavy bottom with aluminum core so the heat is distributed evenly. I’m thinking that a cast iron pan might also work. Good luck!